Fish Fingers - Leo Tunapika? Sometime back during my monthly grocery shopping as I visited my vendor in search of some chicken legs, I noticed they had some fish fillet. Unfortunately they were out of chicken legs so I decided to try the fish instead. The fillets were quite large so I just got two. 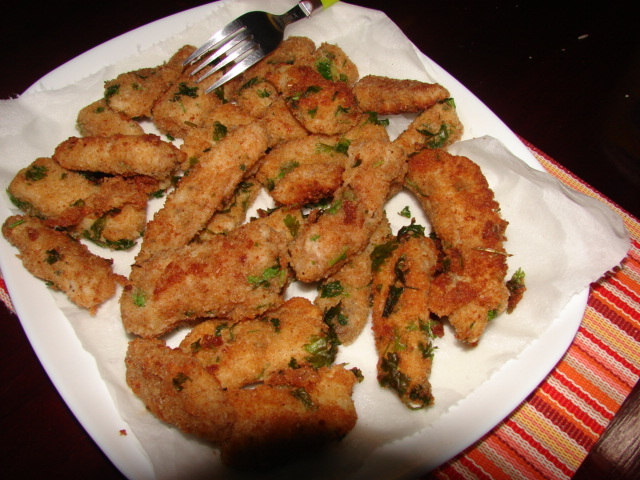 One of the fillets I cut up into big chunks coated them with some dried herbs and pan fried them. The other one I prepared a week later in form of fish fingers. 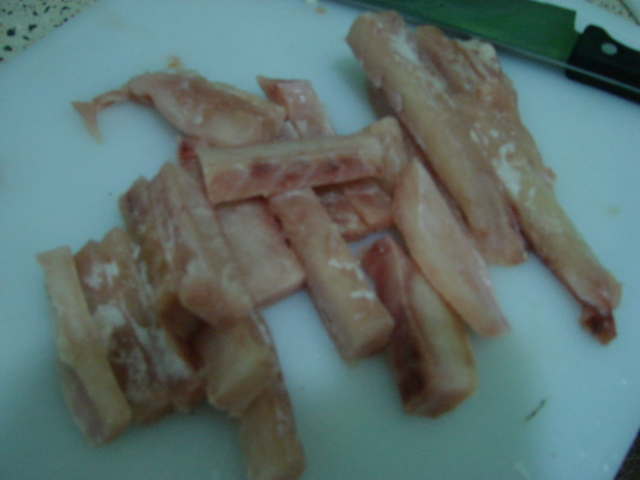 Same trick as with the beef stir fry, thaw the fillet then cut it lengthwise into strips. Now to coat the fish fingers, I prepared 3 dipping bowls. 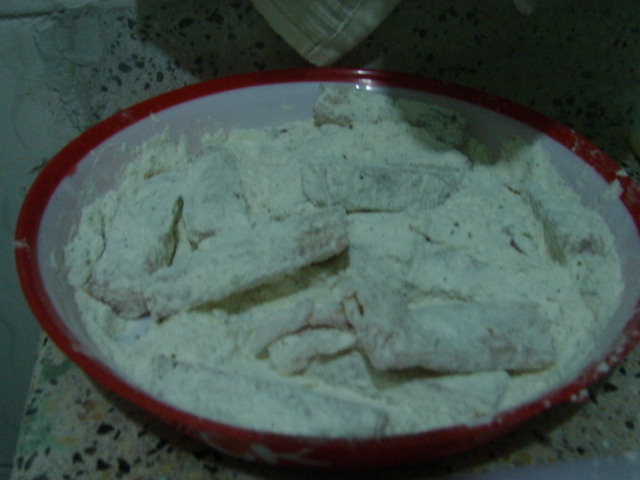 First coat them with flour. Make sure to season the flour with some bit of salt, black pepper and the dried herbs. Next dip them into the egg wash.
Making an egg wash is pretty easy beat eggs with some little water. Once more remember to season the egg wash as you did the flour. This is to ensure that there’s seasoning all through. Use a fork to avoid getting your hands too messed up. Now onto the final coat. At this point I put the oil in a pan so as it can start getting hot. You can get ready to use breadcrumbs from your local supermarket or if you are DIY kind of person you can just do what I did. 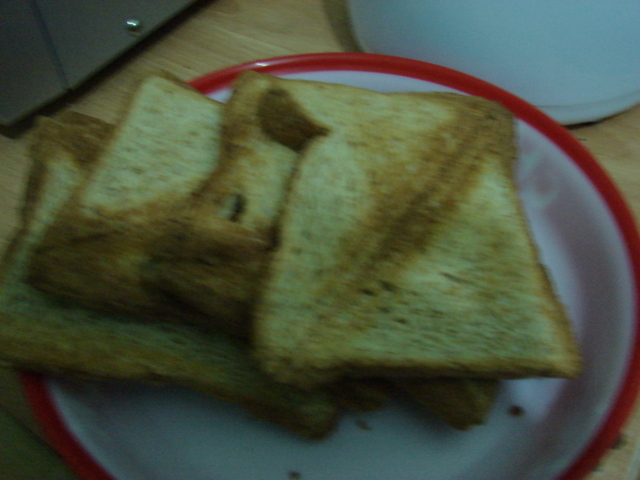 I toasted 4 slices of bread with a sandwich maker, yep a sandwich maker, I really need to invest in a toaster. Then using my blender’s mill, I crushed the chunks of toasted bread and voila breadcrumbs pap. 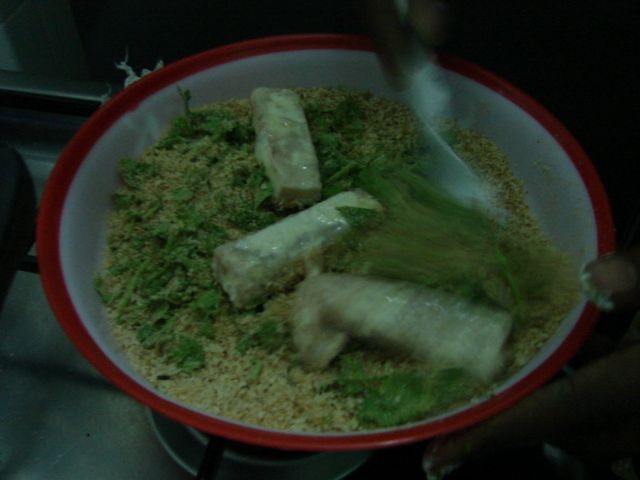 In a bowl/plate mix the chopped dhania and the breadcrumbs, again remember to add the dried herbs, salt and black pepper. At this point also add in the lemon zest. Fry both sides till they are golden in colour. Drain over a plate covered with some paper towel. 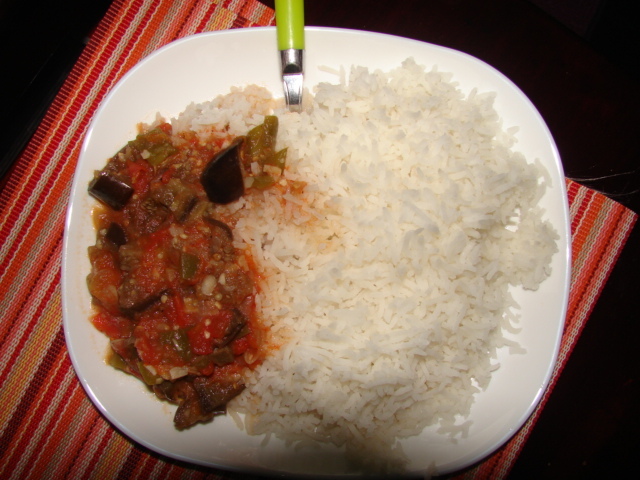 I served this with plain steamed rice and a vegetable sauce. I’d let them cook longer, they still had that fishy taste that I don’t really like. 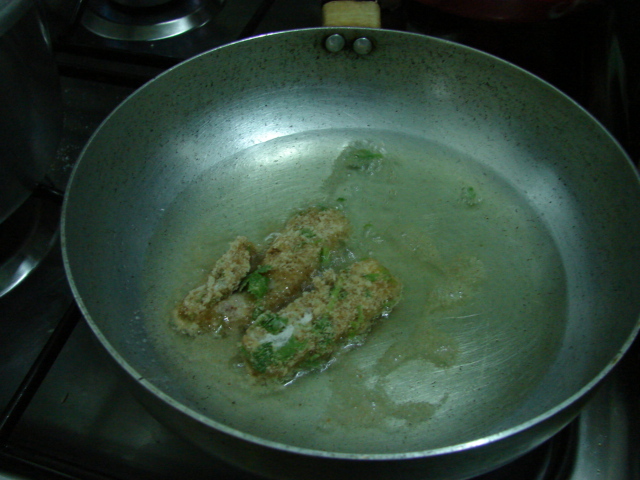 I re-fried the the leftover the following night and they were much better and crunchier :-), so cook them a bit longer till they are really golden brown. Pingback: Meat balls part 1 « Leo Tunapika? 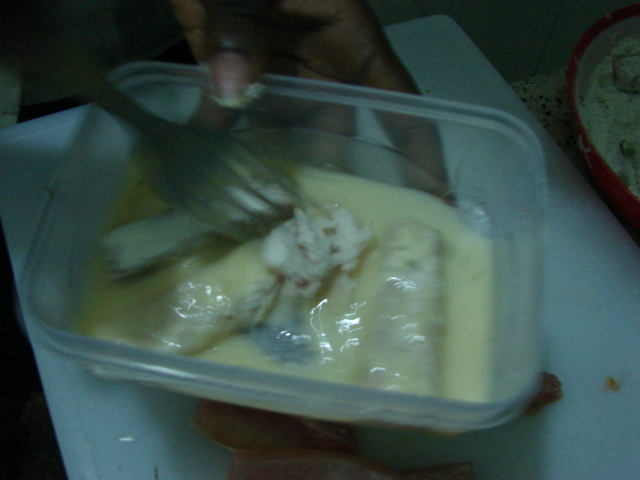 Pingback: Fish Fingers – Take 2 « Leo Tunapika? Quick question.Can you do a coating bila eggs? Hey? Yes you can, remember to use some water to form the paste. Pingback: Yoghurt Dip | Leo Tunapika?